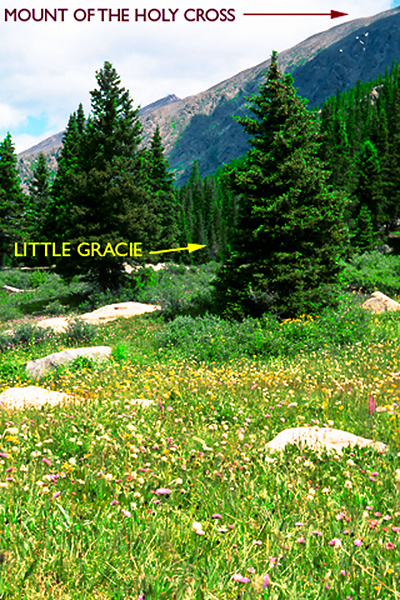 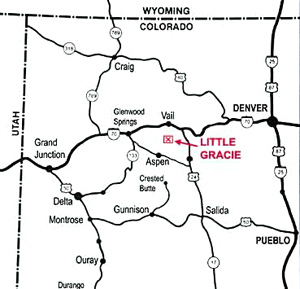 The Little Gracie is a 10-acre parcel with approximately 2 acres on the valley floor next to Cross Creek and the balance running up the side of the Mount of the Holy Cross Ridge, just underneath 14,003 foot Mount of the Holy Cross. 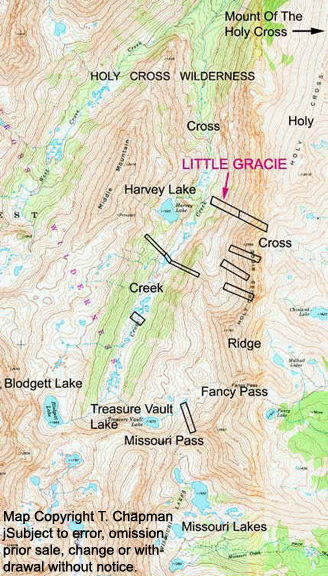 You can walk across the creek to the west to the adjacent Harvey Lake. .
A potable water spring is located on the hillside just above these improvements. 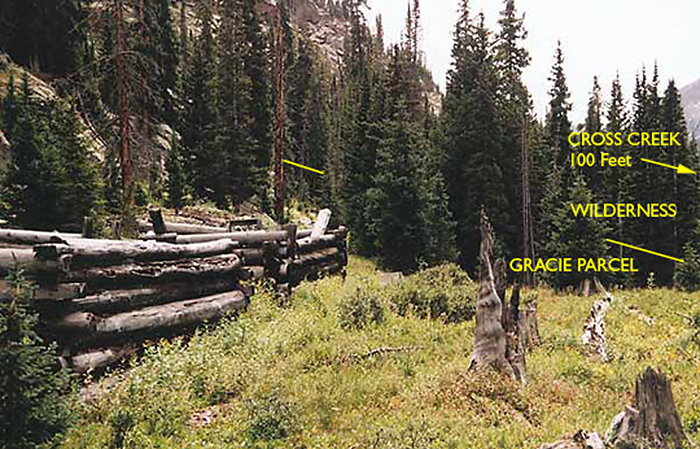 As can be seen in the photos, at one time there were three substantial structures on this site. 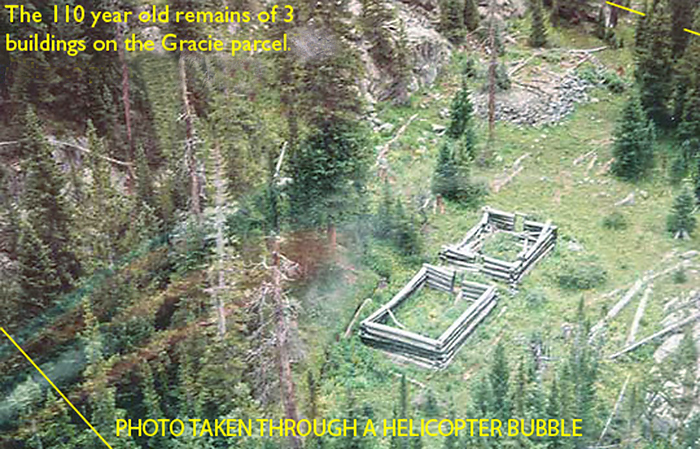 Apologies for the diminished quality of these photos, as they were taken from the inside of a helicopter.